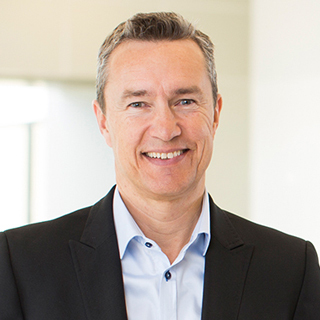 A seasoned networking and software industry executive with a track record of building large businesses, Jesper is the leader of Infoblox, responsible for the company’s continuing growth and innovation. Prior to joining Infoblox in December 2014, he served in a number of roles at Cisco Systems, including senior vice president for network management. Previously, he held senior management positions at Oracle, PeopleSoft, Pivotal Software and Computer Resources International. Bell is a veteran technology executive with over 25 years of experience leading global organizations in the high-tech industry. Prior to Infoblox, he led the Global Infrastructure and Service Management/Support function at Microsoft. His span of responsibility included overseeing WW Network, Azure cloud migrations, Service Management and Help Desk, Tools development, Large Data Visualization, Applications Support and Acquisition integration. Prior to Microsoft, Bell was the CIO for Sonos Inc. He also spent 17 years at Cisco leading various global infrastructure teams with progressively broader leadership responsibility including driving Consulting Services and WebEx Customer Success. Bell holds a BS degree in Finance from California State University, Sacramento and completed the Technology Leader Program from Stanford Graduate School of Business Executive Education. Alan is Executive Vice President of Engineering and Manufacturing Operation and Chief Technology Officer. In this role, Alan is responsible for driving Infolox’s technology strategy and executing the company’s technology innovations. Before joining Infoblox, he was CTO and SVP of Engineering at Zenoss, a leading provider of IT monitoring and analytics software. Prior to that, he was CTO of Cisco’s Network Management Technology Group. A seasoned Silicon Valley executive with more than 25 years of experience and knowledge of many IT domains, he holds a BS in mechanical engineering from the University of California, Davis. An experienced Finance executive in the software industry, Hoke leads Infoblox’s Finance, Legal and Procurement functions. Before joining Infoblox in February 2018, he was CFO of Digital River. Prior experience includes divisional CFO roles at Groupon, Juniper Networks and Microsoft, as well as being a consultant with McKinsey and Accenture. He holds a BS degree in Electrical Engineering and Economics from the University of Virginia, and an MBA from the University of Chicago Booth School of Business. Norma leads Infoblox’s recruitment, compensation, professional development, benefits, and community relations programs and oversees our facilities. Norma brings over 20 years of related experience to this role. She comes to Infoblox from LiveOps, where she managed HR programs and policies and participated in overall executive management. Before that, she held HR executive positions at ShoreTel, Fortinet Security Networks, Foundry Networks, Silicon Graphics, Direct TV Broadband, Kaiser Permanente, and Apple Computer. She holds a master’s degree in public administration from the University of San Francisco. As executive vice President of worldwide operations, Bill is responsible for global sales, support and professional services. In this role, Bill is charged with driving the company’s broad growth initiatives and developing new markets. Prior to joining Infoblox, Bill held sales leadership roles at Cisco Systems, including vice president for the Americas in Cisco’s Service Provider business and director of sales operations in the U.S. Service Provider organization. In these roles, he was responsible for creating scale through strategic partnerships and strong executive customer relationships. Before Cisco, Bill held senior sales positions at Inktomi and Cosine Communications. Bill holds a bachelor’s degree in business administration and marketing from Illinois State University. Kanaiya is an executive leader with a proven track record of bringing new technology to market as well as managing large businesses and product P&Ls. He leads product management, product & technical marketing, corporate development and business development for Infoblox. 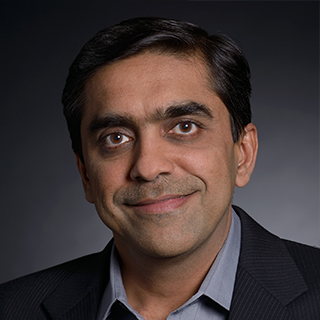 Prior to Infoblox, Kanaiya held several senior leadership roles at Juniper Networks including Corporate VP for Business and Corporate Development and VP of Product Management for Juniper’s core routing business. He has extensive experience in software, networking and telecom, and has previously served in senior management positions at Terayon, Lantern Communications, ADC Telecom, and Network Systems Corp. He holds Masters degrees in Management of Technology and Computer Science from University of Minnesota. As Infoblox’s Executive Vice President and Chief Marketing Officer, Sammie oversees the company’s global marketing organization. She joined Infoblox in April 2016, bringing 20 years of industry marketing experience in defining, launching and growing companies in the Networking, Analytics, Security, Digital Advertising, Telecom and Collaboration markets. Previously, Sammie held senior management roles at Aerospike, Actian, Vidyo, Zenprise and Transera Communications. Sammie holds an MBA from the School of Economics & Business Administration from St. Mary’s College. Liza is responsible for business operations at Infoblox and leads long range planning as well as management of key cross-functional business processes, including the coordination and management of Objectives and Key Results (OKRs) across the executive team. She brings more than 20 years of general management experience to this role. 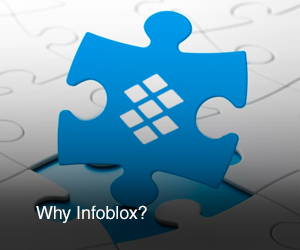 Prior to joining Infoblox she led Product Operations for Cisco’s Cloud and Virtualization Group. Previously, she was SVP of International Markets at Qwest Communications and held senior leadership positions in a variety of functions including Marketing, Sales, Product Management, and Finance at Qwest and AT&T. Liza is a Sloan Fellow from Stanford University with an MS in Management, and also holds an MBA from Rutgers University and a BS in Bio-Chemistry from Pepperdine University.